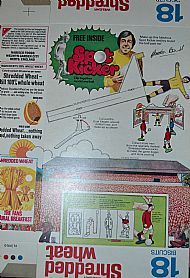 One of a number of free cereal packet and giveaway football games that were very popular in the 1970s. 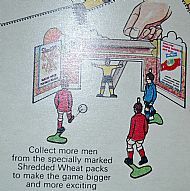 Shredded Wheat were the most prolific football themed promotions cereal. This is a cracking little game that sums up exactly what these giveaways were all about - a cut out game board printed onto the box plus a plastic figure inside the box. 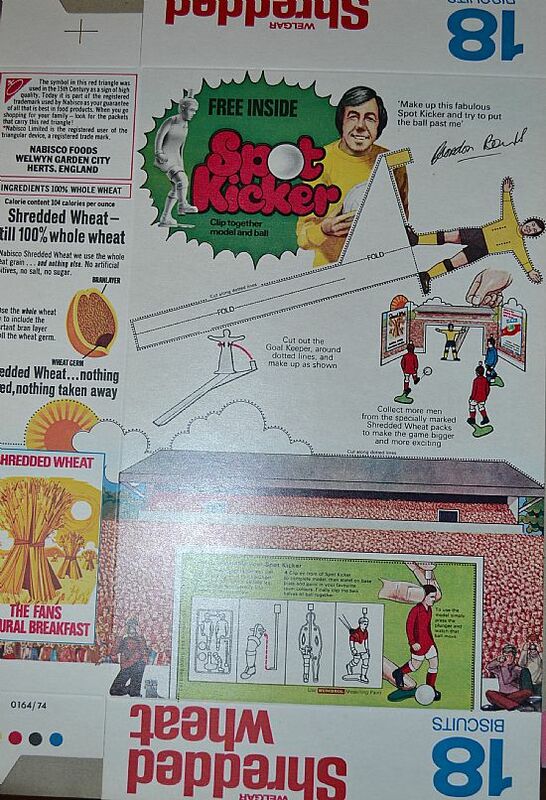 Endorsed by Gordon Banks (check out the faceplant onto the keeper figure! 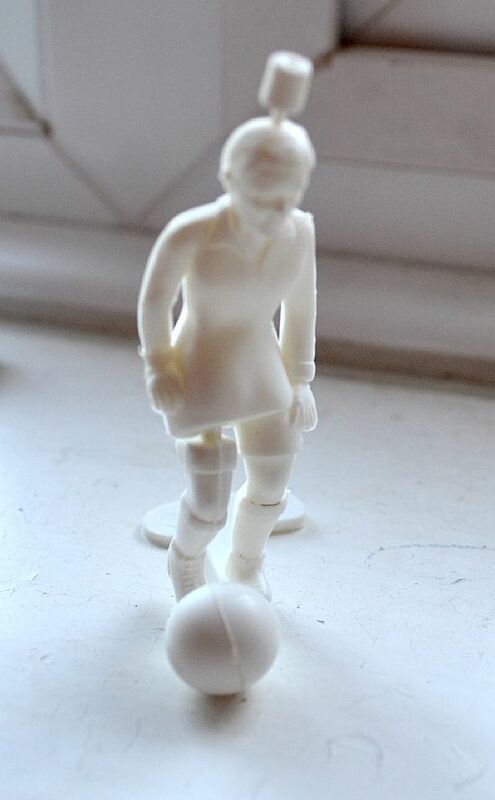 Great bit of fun with the keeper figure - can you beat Gordon from 12 years? 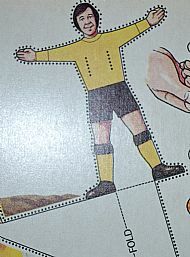 The plastic kicking footballer needed to be assembled prior to taking the penalties. 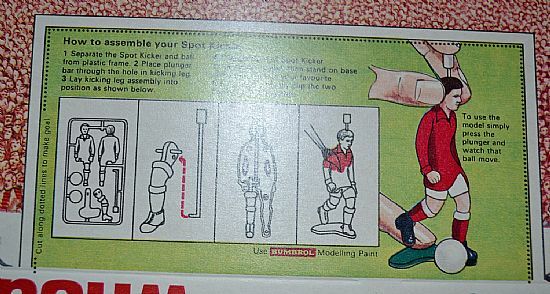 Typical Airfix or Humbrol plastic painting opportunity. Cut out the goal, line up the penalty and take your chances against Gordon.